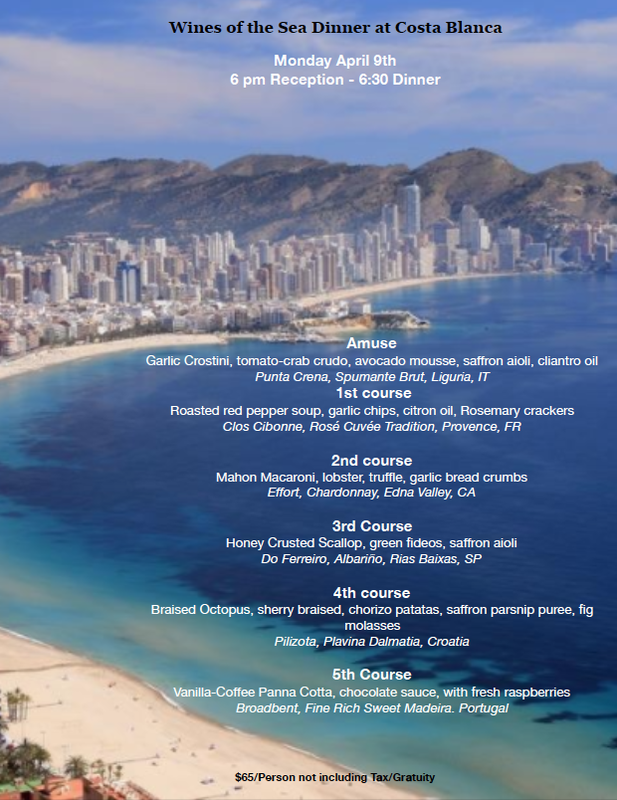 Join us for a special 5 course wine dinner prepared by Chef/Owner Hector Ruiz & Chef Gustavo Romero Veytia at Costa Blanca Bistro. They have put together a stunning menu of small plates, paired to wine selections by Erin Ungerman of New France Wine Company. Focusing on seaside vineyards from around the world. These wines are incredibly transparent in their saline nature & constitution, exhibiting their ability to refresh us even though we are not lying on a beach. A dinner not to be missed!